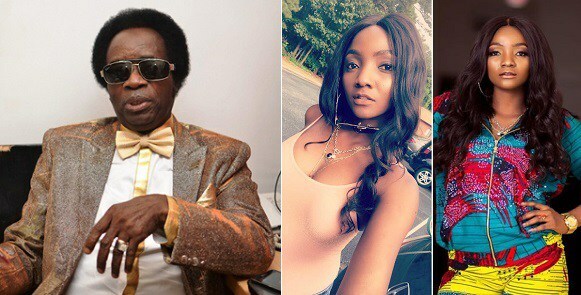 Even after three decades of reign as highlife maestro, ‘Guitar Boy’, as he is fondly called, Sir Victor Uwaifo, has remained relevant on the Nigerian music scene by reason of his evergreen songs, like ‘Mami Water’, ‘Guitar Boy’, and many others. In an exclusive chat, the one-time Edo State Commissioner for Arts and Culture opened up to Showtime that Jaywon and Simi did not obtain copyright permission from him before recording a remix of his hit song, ‘Joromi’. “They didn’t contact me before doing a remix of Joromi; but I’m like a father to them so I can’t begin to drag them to court, so let them make a living out of it, but at the same time it’s piracy”, he said. According to the multi-instrumentalist, simply ascribing credit to him as original composer of the song would suffice as permission for him. It’s one thing to be an artiste and it’s another thing to stay on the scene for a long time; so I will not discourage artistes trying to remix or do another rendition of Joromi, but rather encourage them to give credit to the composer if they do”, he added. Speaking further, he advised young music acts to learn the rudiments of live music performance rather than depending on computer based recording. “The young ones of today have depended so much on computer which I think is not the best because creativity must have given birth to technology, while technology on the other hand is now usurping creativity for further advancements of technology and that is wrong. He further advised that they should emulate older musicians because they are the masters of the game. “The young ones should learn from the masters. They should undergo apprenticeship; they should learn the rudiments of music. Music is not a free for all business; they should learn how to play music. I didn’t fall from the blues, I underwent apprenticeship with a few bands and well known musicians before I set up my own band, that is why I’m still relevant today.